Designed to build confident communication skills, these innovative iPad applications feature engaging activities that provide the building blocks for success in school and beyond. Speech and language therapy made simple and fun! Using a range of innovative techniques and activities, help your child develop articulation skills and their self-confidence in speaking. 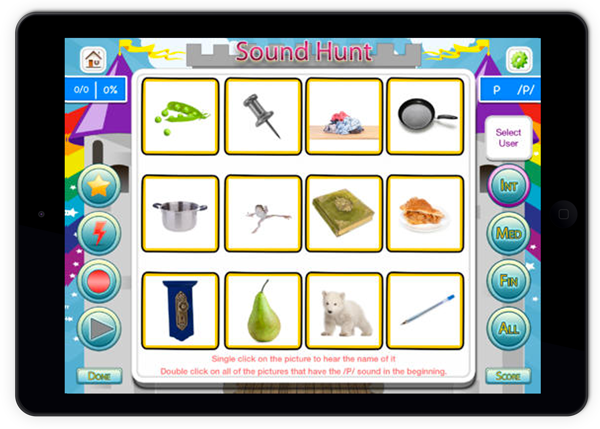 Increase your child’s sound recognition and listening skills through fun activities. 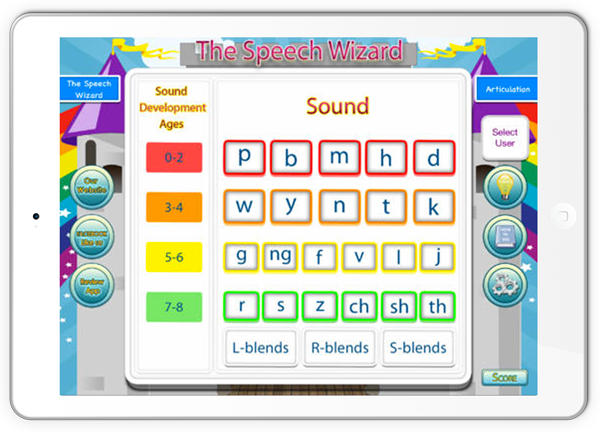 The Speech Wizard was founded by Shawn Manvell, a licensed Speech-Language Pathologist, who has been a leader in the industry for over 15 years. Sought after for consultation and public-speaking engagements nationwide, Shawn created The Speech Wizard apps when she discovered a disparity in speech and language services for children in rural areas, and realized they could be reached through technology. These cutting edge apps were developed to be used by speech therapists, parents, teachers, and caregivers to efficiently help these, and all children gain mastery and confidence in their communication skills. 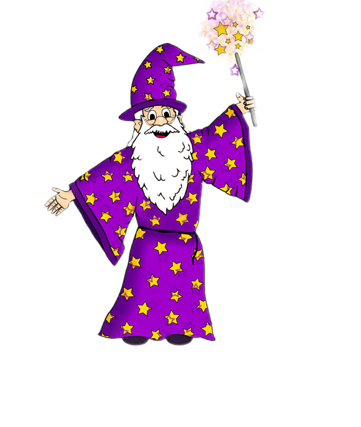 Sign up to receive the latest information on news, events, research and techniques from the Speech Wizard.